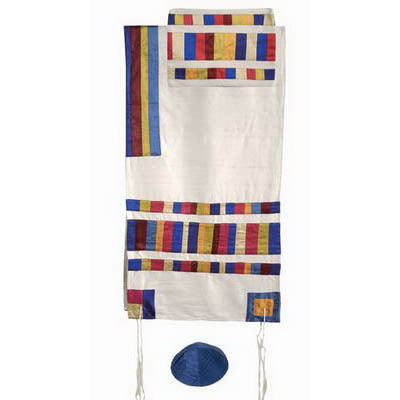 This Tallit Is Made In Israel From Woven Raw Silk. The Stripes, Atarah And Corners Are Made From Different Colored Appliqued Raw Silk. The Bold Multi Colors Make This Talis Stand Out As Stunning.